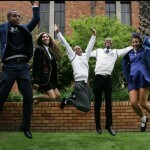 Pretoria – Parents in Gauteng have been urged to send school applications as soon as the admission process for 2012 opens in August. The Gauteng Department of Education said the schools admission process for 2012 will open from 1 August until 30 September 2011 and an Admission Circular 5/2011 has been released and is expected to be available on the department’s website. Department spokesperson Charles Phahlane noted that managing admissions early enables the department and schools to plan effectively for the resourcing of schools and provide appropriate supply of educators, infrastructure, learning and teaching support materials and furniture, where required. “Over the past few years, the department has received about 30 000 late applications at the start of each year. This year we managed to reduce this to just under 13 000 through advocacy campaigns. 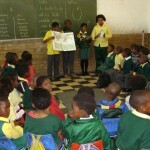 “If your child is going to school for the first time in 2012 (Grade R or 1) or proceeding from a primary school to a high school (Grade 8) or even moving to a new school, register at the school nearest to your home between 1 August 2011 and 30 September 2011,” Phahlane urged parents. He explained that upon application, parents will receive a reference number which indicates their position in the queue and applicants will be placed on waiting lists ‘A’ or ‘B’. Documentation required for admissions include a birth certificate or certified copy (a baptismal certificate is not acceptable proof), proof of residence, immunisation card, transfer card and / or last report card, and for legal immigrants – study permits. Last Friday, the department published proposed amendments to the existing admission regulations and the public and stakeholders have 30 days to comment on the proposed amendments, which will come into effect in time to manage the admission process for the 2013 schooling year. The proposed changes to the admission regulations will further serve to strengthen the admission process in the province and will lead to efficiency in planning to enable schools to prepare for the following academic year, overcome late registration and ensure timeous and appropriate placement of learners.